CPU Modules Archives - SLN Technologies Pvt Ltd. 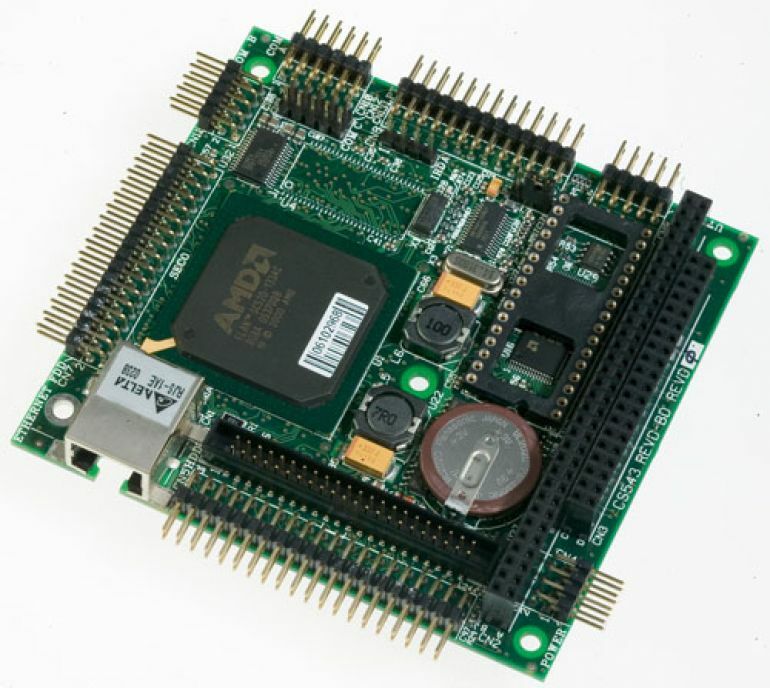 The M543R module is based on the high performances CPU ELAN™ SC520 from AMD (486 at 32 bits) 133 MHz. The module supports 32 MB or 64 MB DRAM directly soldered on- board. Optionally is available a memory chip for the error correction (ECC) management. It integrates some peripherals commonly used in standard PC applications, as Ethernet Controller 10/100baseT, 4 serials, 1 parallel, floppy and hard disk controller, socket for Solid State Disk, keyboard. The module needs only a + 5VDC supply. It can be used as stand-alone or in a PC/104 stack.